Kate and Oli: Focus On... Little Pink Plum And A Giveaway! I am probably different that most of you in that I never look in the mirror. I don't wear makeup, I don't style my hair, I have no reason to look in the mirror. I don't need a mirror to put on moisturizer, I don't need it to brush my hair, I don't need it to put on deodorant. This generally works out well for me, except when it's lunch time and I realize that my eyebrows are unruly or that I have toothpaste on my cheek. That's why the pocket mirrors in Little Pink Plum's shop are so perfect - I can fit them in my purse, my wallet, or, well, my pocket. Keep reading for the interview and a surprise! Hi, I'm Janette, wife, mom of three and living in sunny San Diego. Besides crafting, I love to read, watch movies, listen to music and hang out by the bay on the weekends. I like using paper and fabric. Although I don't use fabric in my shop, I have a huge stash of it and use it for easy sewing projects like tote bags and sachets. I love pretty paper too and have a big collection of it. A couple of years ago I was selling my beaded jewelry and pocket mirrors on Ebay and then found out about Etsy. I liked the handcrafted aspect of it as well as the low fees and switched over to Etsy full time in Feb 2008. 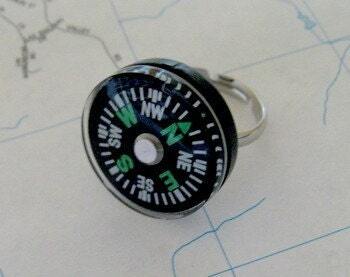 My tween daughter gives me a lot of inspiration and ideas for pendants. 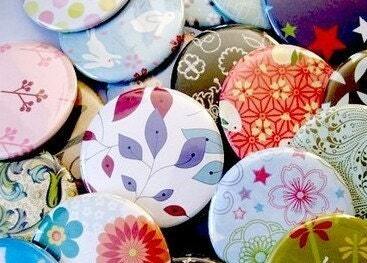 And I love to make mirrors and magnets out of eye-catching paper - I especially like Asian designs and pastel colors. I usually listen to Pandora when I'm crafting and what I listen to depends on my mood. It can be anything from classic rock to top 40 to country. I'd like to be a cat - the kind that stays indoors and is pampered! 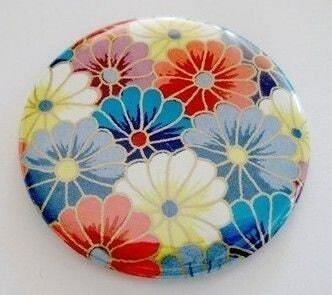 I have a pendant I made from a round tile and Japanese washi paper that I wear a lot, and another is a pocket mirror named "Bambi's Garden" that I keep in my purse. 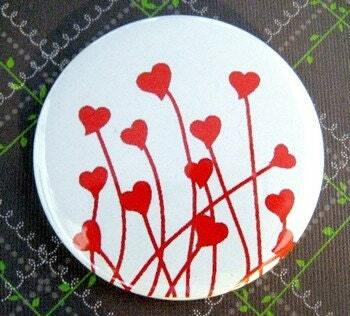 It's one of my favorite designs and has been one of the top selling mirrors in my shop. I have so many favorites it's hard to choose but these are definitely in my top ten - Little Brown Bird, Gennine's Art blog and The Lil Bee. They're interesting to read, great pictures, with a mix of personal life and crafting too. if you can't wait, you can purchase your very own set here. to win a set (!!! ), simply enter below! 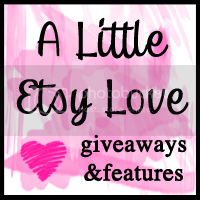 head on over to Little Pink Plum, select your favorite item, then come on back and tell me what it is! Fine print: Giveaway begins when it is posted and ends 11:59 pacific standard time Thursday, February 25, 2010. A winner will be selected by a random number generator on the morning of Friday, February 26, 2010 and will be emailed promptly. Little Pink Plum will ship anywhere in the United States! Ohmygoodness what adorable mirrors!! I love the Washi designs; my favorites are the Koi (blue), the cherry blossoms (blue), and the mustache - too cute! Thank you for visiting my blog! I have taken a quick look at yours and from what I've seen it is quite lovely!! I will make sure to give it a more thorough look later (when I'm not at work, don't tell!). Have a great weekend! Hi! I just became a follower! Cute stuff! I like the forest friend buttons! I love the Pocket Mirror - HANDLEBAR MUSTACHE! I love the Audry Hepburn mirror. 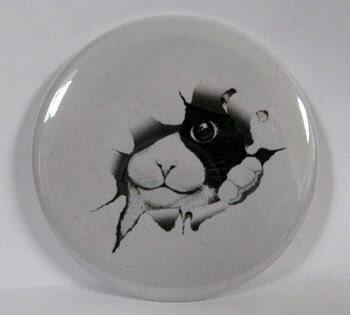 I love the Bunny pocket mirrors, especially the Moon Bunnies one. I LOVE the Jumbo magnet that says "Keep calm and eat a cupcake"!!!! That is hilarious! I love all the Alice mirrors and the scottie dog mirror. I'm a follower of Jan's crafty nest. My favorite item would be the Lil Monkeys pocket mirror! So cute. The handlebar mustache pocket mirror is a riot! I love the Handlebar Mustache pocket mirror! Well, that wasn't hard. The Penguin mirror of course! I heart owls so much! I already am a loyal follower!!! 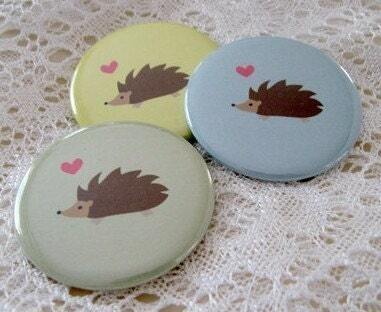 I hearted ETSY shop too!!!!!!!!!!!!!!!!! I follow Jan's Craft Nest blog too! I love the Happy Cupcake pocket mirror! I love the pretty in pink sakura pocket mirror! Oh, wow, it's so incredibly hard to pick. They're all so elegant. 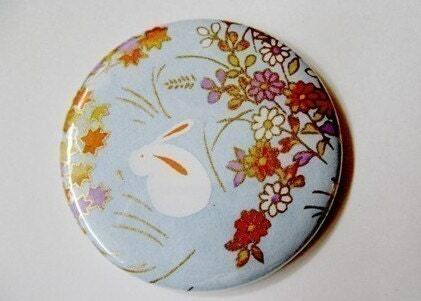 I think that this wildflower one is my favorite, though, with the moon bunnies being a close second. I'm now a Google Connect follower. I now follow Jan's Crafty Nest. That is my favorite! However, the owls are REALLY cute! I love the Keep Calm and Eat a Cupcake pocket mirrow. The Audrey Hepburn pocket mirror is wonderful! So cute! My favorite is the Pretty In Pink Sakura pocket mirror. My favorite is the Blue Sparrow pocket mirror - so cute! Thank you! I'm google following Jan's Crafty Nest blog. I like the compass bobby pins. What fun! I love the Handlebar Mustache pocket mirror! It's so adorable! Thanks for this great oppurtunity! I love the pink cutie owl creation and the compass bobby pins. I LOVE the Pocket Mirror - VINTAGE EIFFEL TOWER .... awesome! I love the moon bunnies pocket mirror! My favorites are the Lil Monkey's pocket mirror and the happy cupcake pocket mirror! so cute! My favorite is the koi. I love the Mustache pocket mirror. Thanks for the giveaway! My favorite is the leaves on green mirror! I like Jumbo Paperclip Bookmark - BLUE FLORAL. 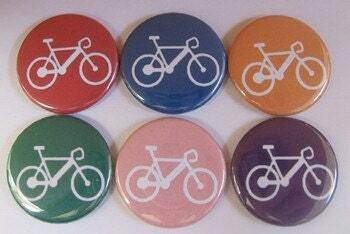 I love the Set of 6 Pinback Buttons - WONDERLAND IN BLACK AND WHITE. I love the JUMBO MAGNET - Keep Calm and Eat A Cupcake - 2.25 inches! Love them all. So hard to choose. Um...The Sherlock Holmes pocket mirror is my favorite. My favorite is the Bambis Garden mirror! Oh I love the 'little gnome' pocket mirror. What a great shop! I'm a follower of Kate and Oli. I hearted Little Pink Plum on etsy under JamieElle. so much awesomeness! i love the mustache mirror and the sherlock holmes mirror -- can't pick between mustaches and holmes; sorry. glad i found you, kateandoli; i'm now a follower! I love the blue flower one! Followed you on etsy and twitter! Ooh I love the singing bird (009)! Darling. I hearted Little Pink Plum on etsy too! following Kate and Oli on google friend connect! I like the ART DECO TREE pocket mirror. 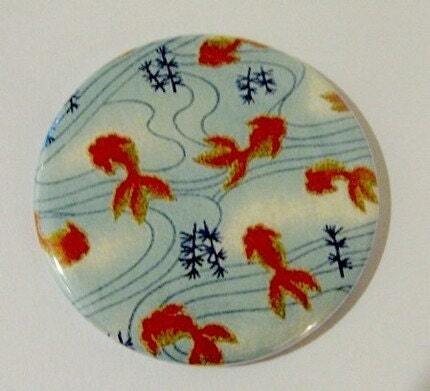 I love cherry blossoms yellow pocket mirror- too cute! I'm a follower of Jan's...thanks! The Owl on a Branch pocket mirror is too cute! I follow kate and oli! I follow Jan's Crafty Nest!